When I was growing up, every summer weekend, my father’s family would pull out the newspapers, line the picnic tables, and have a crab feast overlooking the Chesapeake Bay. It was during one of those festive occasions that I had my first crab cake. My grandmother, Edna, had a secret to her crab cakes: Simply put, “Don’t mix it up too much.” Wise advice that I use to this day. Good old Old Bay. It’s what lends that distinctive taste to blue crabs from the Chesapeake Bay, and it’s present in these here crab cakes…though exactly to what extent is up to you. We tend to like our crab heavy on the Old Bay, but you may not…and that’s okay. As with most things in life, it’s smart to start modestly and take it from there, exercising prudence as you deem fit. 1. In a medium bowl, combine the egg, mayonnaise, pimiento, half the crumbled crackers, salt, Old Bay, and parsley and mix well. Gently fold in the crabmeat and form the mixture into 4 patties, being careful not to “mix it up too much.” Taste and adjust the seasoning accordingly. (You can add up to 2 more teaspoons Old Bay, if you please.) The patties will be fairly wet. Gently coat the crab cakes with the remaining crumbled crackers, sprinkling some of the cracker crumbs over the crab cakes and then turning and repeating. 2. Preheat a skillet over medium-high heat. Add some of the oil and heat until hot but not smoking. Add 2 of the crab cakes and cook until golden brown, about 2 minutes per side, gently turning the crab cakes with a thin metal spatula. Repeat with the remaining oil and crab cakes. 3. 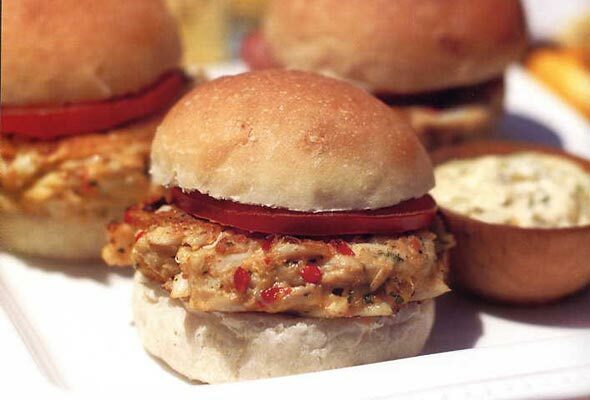 Place a crab cake on each roll and top with a tomato slice, if using. 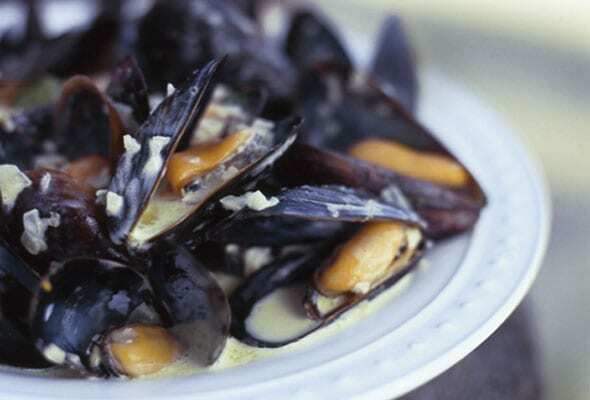 Serve with a ramekin of tartar sauce for dipping. 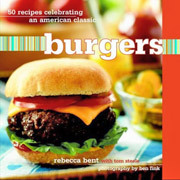 Chesapeake Crab Cake Burgers Recipe © 2004 Rebecca Bent. Photo © 2004 Ben Fink. All rights reserved. All recipes and photos used with permission of the publisher.